Our inventory of Victorian house plans is small, but we’re very proud of the homes we offer. Like all of our plans, those for Victorian homes are quite detailed, and contain a great deal of information. 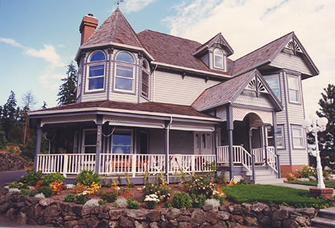 The Victorian-style homes you’ll find on our site combine more contemporary interior design with the turn-of-the-century exterior design details that so many people love.